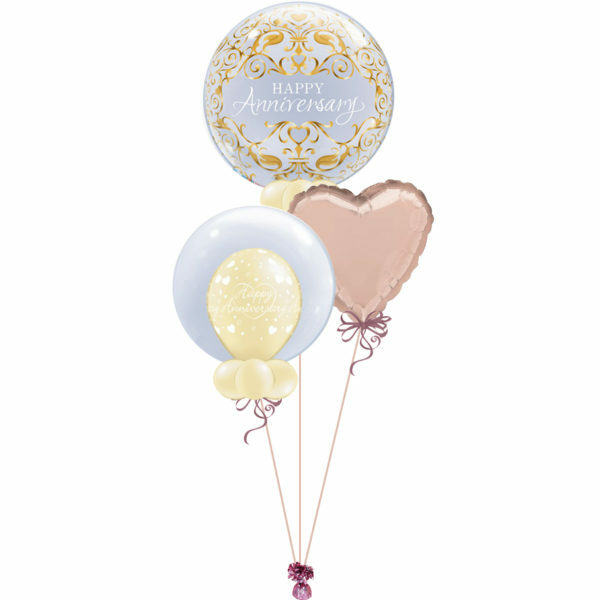 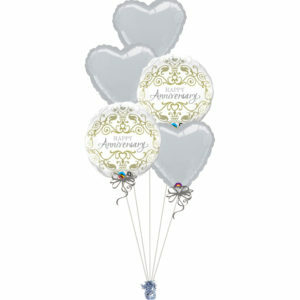 Created with one of the extremely popular Anniversary Classic bubble balloons, one Deco bubble with printed latex inside with collar and a solid colour foil balloon on a foil balloon weight. We are able to offer a personalisation service on the solid colour foil balloon – please include the name that you would like to have hand written on the balloon, in the message box with your order. The Bubble balloon is 22″ in size, the Deco bubble is 20″ in size. All balloons are attached to a matching colour ribbon and foil weight.